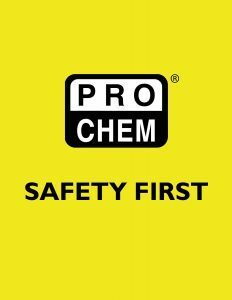 SAFETY VEST | Pro Chem, Inc.
Fluorescent yellow safety vest keeps you safe and reduces the risk of an accident. It is ANSI/ISEA 107-2015 Type R CLASS 2 rated and meets the standards set by the American National Standard Institute for High Visibility Apparel and Headwear. 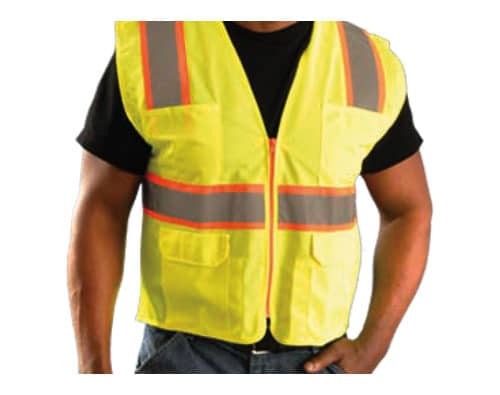 CLASS 2 is defined by the amount of retroreflective tape per yardage, its size and amount of background vest material. TYPE R is a Roadway Classification for any occupational worker who is exposed to traffic or moving equipment.